This obviously wouldn't be the first ever modern town square. There are many other successful models of projects around the US and even just the Northeast that we can look to for inspiration. Read about them here. 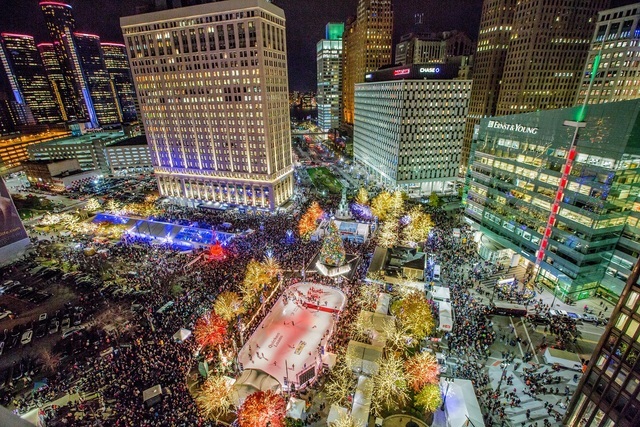 Campus Martius in Detroit is 1.6 acres in size, and contains grassy lawns, gravel walkways, and informal seating for over 2,000 people on walls, benches, steps, and moveable chairs. Two retractable stages with light and sound equipment can be moved into position for events. It is often credited with helping to attract new businesses and workers to Downtown Detroit. In 2002, the City of Columbus identified the need to attract and retain residents and businesses downtown. 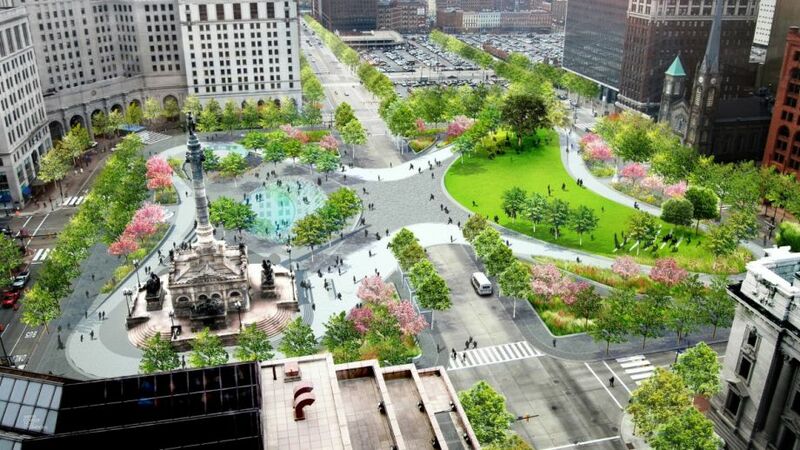 After careful consideration, plans were made to develop Columbus Commons in place of a desolate mall. Columbus Commons and Scioto Mile both opened in 2011 and together have catalyzed over $200 million in private investment, attracted 1.5 million visitors annually, and are often credited with spurring downtown Columbus’ rebirth. 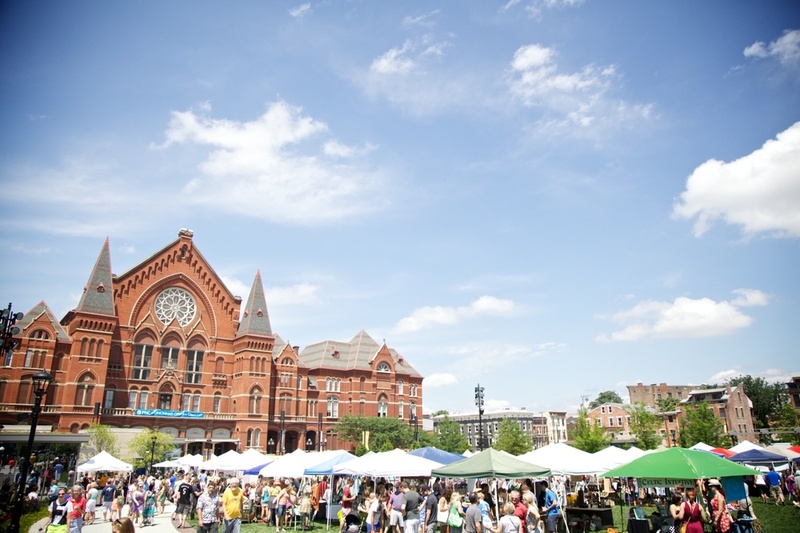 The City Flea is Cincinnati's original curated, urban flea market at Washington Park. Since its conception in 2011, The City Flea has seen dozens of vendors grow from hobby to full time business and it is with much pride that we consider ourselves not only a monthly market, but a small business incubator, community organization, and city advocate. After having 70 vendors participate during the first summer, that number has now jumped to over 300 creative, unique vendors and small businesses. Since its grand opening in June 2012, Larkin Square lies at the heart of the Larkin District in Buffalo, the site of the former Larkin Soap Company warehouse buildings. It is now one of the most active public spaces in Buffalo with thousands of visitors each week – the beating heart of the reborn district. One of the city’s most distinctive public spaces, the square is built on the parking lot of a 1930s gas station. 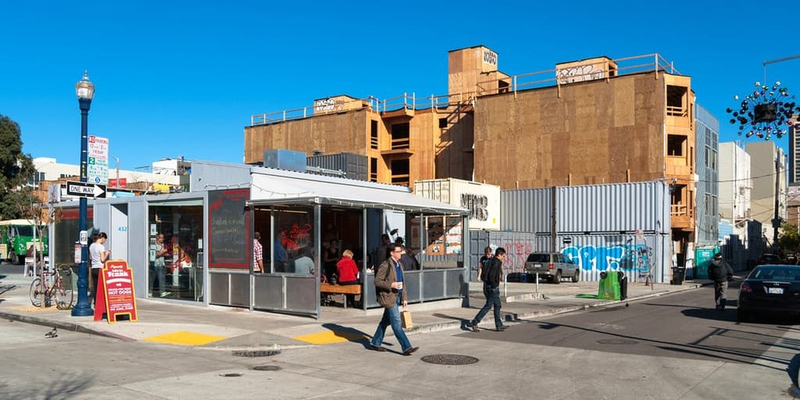 PROXY was created as a temporary two-block project in San Francisco to mobilize a flexible environment of food, art, culture, and retail within renovated shipping containers. PROXY is constantly changing — and that means it is constantly pulling from different elements of the surrounding neighborhood. Without retaining a singular identity, PROXY facilities change seasonally and invite people to return, just to see what else is new.